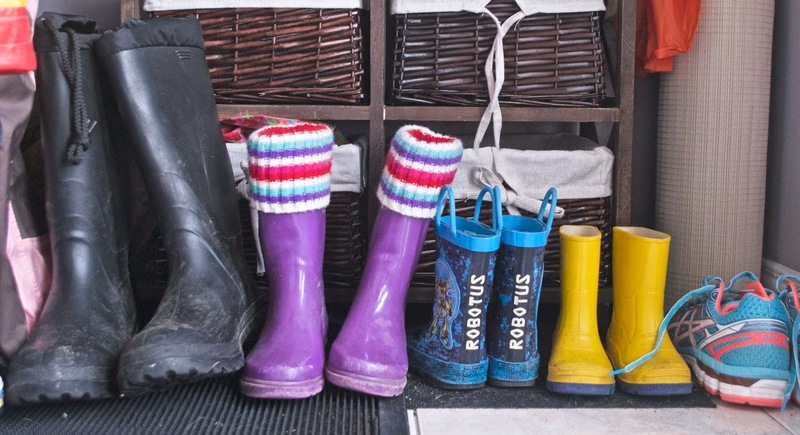 Footwear seems to be a good way to tell our family's story these days: We're switching out our big, tall boots, fur-lined and fleece, for rubber puddle jumpers. My running shoes, Rich's warm-weather work boots, Abby's shoes, Summer's wool booties are thrown all over the tiled entryway floor. I ordered hiking sandals for Abby and some for Hailey and Robin both, because their little feet won't yet fit in Abby's hand-me-downs. I found my sandals post-move and am waiting for the weather to warm up to acceptable sandal-wearing levels. I wonder whether I'll have to get the walking shoes out for Summer anytime soon. 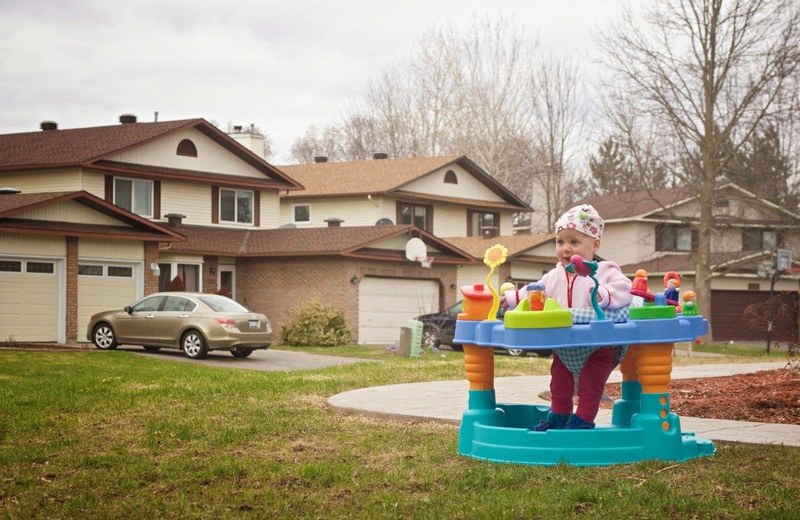 Summer is nine months old now- a number that hit me over the head this weekend. Nine months means she has been out in the world for as long as she grew inside me. Nine months means she wins the family prize for worst sleeper, as she has gone the longest without sleeping through the night. I took her with me to a bridal shower the other night, and aside from all the usual compliments nice ladies give babies about chubby knees and beautiful eyes, many remarked on what a big personality she had. This made me smile. That is a trait I've wanted to see in all of my babies: To step in a room and shine, be noticed, make a splash and command attention. Summer does all of that with a cheeky grin. As for her big sisters, I don't predict any will become wallflowers. 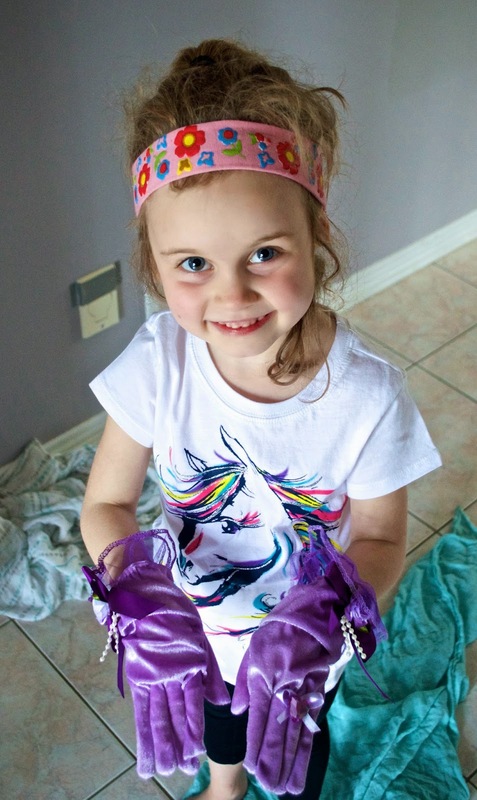 Abby shows off her latest cooking accessories: fancy gloves. Because when you're on a cooking show, you have to gesticulate a lot. And you might as well wear pretty gloves. 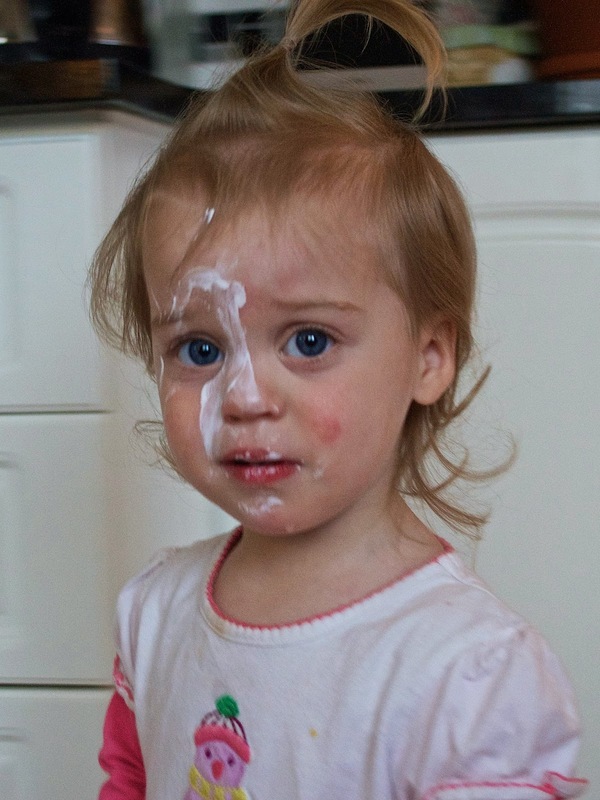 Poor Hailey is concerned she will get in trouble for smearing bum cream all over her cute face. 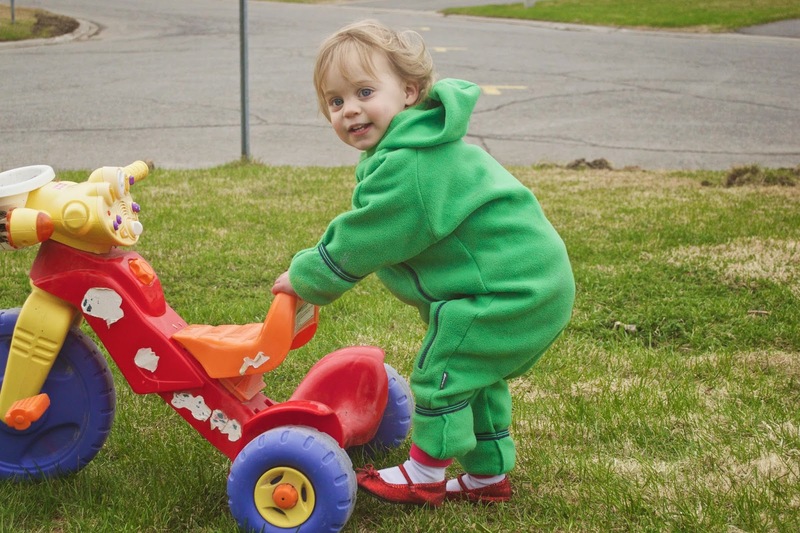 Robin pushes her trike all over the lawn whilst wearing Dorothy-style Mary Jane shoes. She refuses to remove them. I love seeing what they come up with next. It is such a privilege to witness their little personalities take shape. They are developing preferences, trying things on and walking around for awhile to see if it suits them. It helps them all feel a little more individual when we can say, "those are Robin's sunglasses, give them back, " or "that hat belongs to Abby, please," because it affirms that they have ownership over something that distinguishes them from the others. When there are four girls, this has become important even at ages five, two and nine months old. My little Dorthies! Love the shoes!!! Diabetes: Why your foot gets numb. Why you get poor circulation. What to do to help try to avoid the complications of diabetes in your feet.I find this website for diabetic shoes you can visit this site.